While playing Suzette, a cordon bleu cook in the Zurich Comedy Club‘s production of Don’t Dress for Dinner (November 6-16, 2013), I cooked all the dishes named in the script. This was the second course: Cheese soufflé. I suppose it was only a matter of time before I attempted this classic dish. Every cook should be able to make one, so I guess I had to tackle this some time in my life. I’d never made one before, and I have to say, it wasn’t as hard as I thought it would be. And it was quite impressive. A soufflé basically consists of two components—stiffly beaten egg whites and a thick, flavored base. 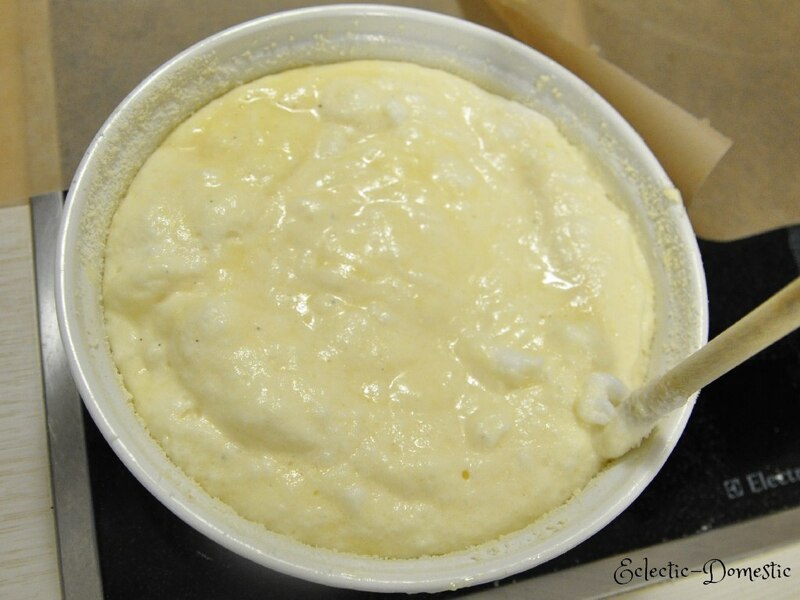 In the cheese soufflé, the base is a sauce Béchamel, one of the five mother sauces. The word soufflé comes from the French verb souffler which means “to blow up” or more loosely “puff up.” That is exactly what happens to the soufflé when it is put into the oven. In my research, I picked up some basic information about and tips for making soufflés. Be very careful when separating your egg whites from the egg yolks. Even a bit of yolk in the egg white can ruin your endeavor. Separate your eggs in a separate bowl, then add them one at a time to the ones you intend to whip to make sure no yolk gets in. Beaten egg whites don’t hold up well, so you should have all other ingredients ready and the oven preheated before you start. 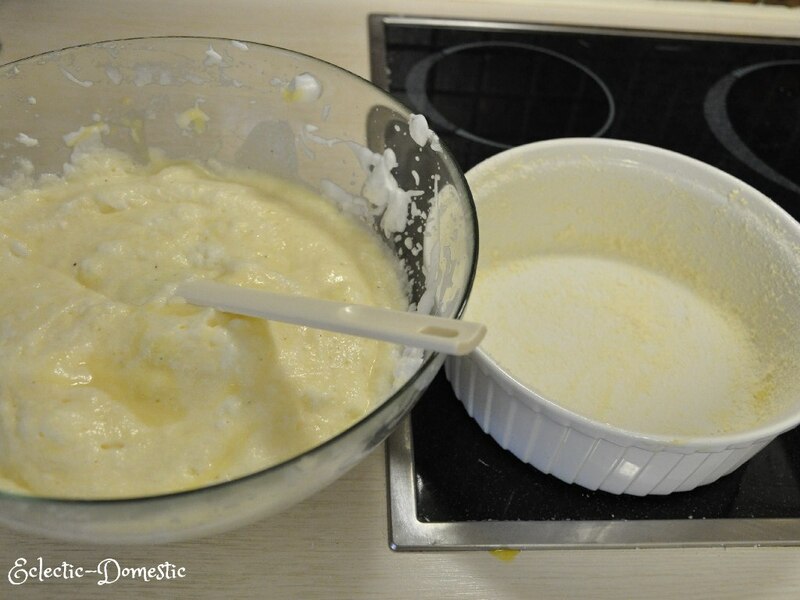 Adding an extra egg white helps stiffen the soufflé. In beating the egg whites, it is very important to use a clean, dry, non-plastic bowl. Plastic tends to retain a slight film of fat, which can counteract your efforts to stiffen the egg whites. Start on a lower speed and slowly increase speed until the egg whites are stiff but not dry. Use a glass or metal bowl to whip egg whites. Prepare the soufflé dish carefully. 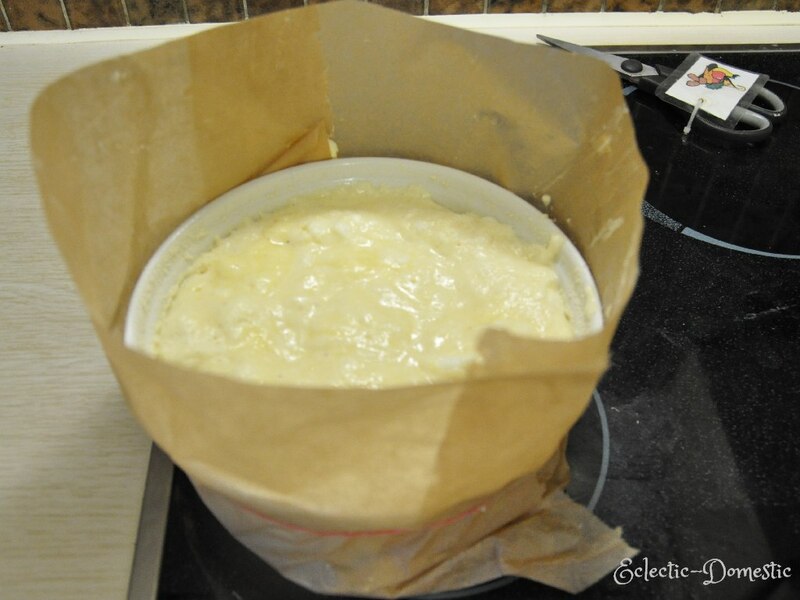 Buttered parchment paper can be used as a collar to extend the height of the soufflé dish. You can run the back of a wooden spoon around the inside edge of the dish to create a moat. This supposedly helps the soufflé rise in a straight line. Last step in the preparation. Keep the oven door closed while baking. Only check for doneness once the soufflé is close to finished. Be sure everyone is seated at the table before you remove the soufflé from the oven, and serve your soufflé immediately. It will begin to collapse within a minute or two of leaving the oven. Preheat your oven to 375 °F (190 °C) before you're ready to cook. Generously butter a 2-quart (2-liter) soufflé or other deep baking dish. Liberally sprinkle with grated parmesan cheese. Tilt in all directions until all of the areas are covered then tip the mold over and shake off the remaining cheese into the cheese you'll be using for the recipe. Let cool for a few minutes to room temperature or slightly warmer than room temperature, then beat in the egg yolks and the cheeses. In an immaculately clean, dry, non-plastic bowl, using an electric or hand mixer or a whisk, beat the egg whites—slowly at first, then with increasing speed until stiff. Fold the egg whites into the sauce in 3-4 portions. Continue to fold gently until all egg whites are incorporated. Do not overmix. Pour the mixture into the prepared dish to just below the rim. You can run the back of a wooden spoon around the inside edge of the dish to create a moat. This supposedly helps the soufflé rise in a straight line. Bake until the soufflé has risen, the top is golden brown, and the sides are firm, about 30-45 minutes. You can use a toothpick or skewer to test for moistness. If it is quite wet, bake another 5 minutes, then test again. Wow! Your cheese soufflé looks divine! I have neither eaten nor cooked a soufflé in my entire life, but I’m now tempted. Do I have to adjust the recipe if I made several small individual soufflés? Thanks! The baking time should be adjusted (reduced) by as much as half for smaller/individual dishes. You’ll need to judge based on the size of your dish and watch the soufflé carefully. This looks good. I have made souffle before and I often use herbs in the base along with the cheese. I’d never heard the tip about the breadcrumbs. I’ll have to try it. Thanks.